Our Victorian scratter and its Ruston Hornsby engine performed well on their first public appearance in November 2018, and (with the help of Pete McVann on the scratter and Guy Putland on the press) succeeded in producing a half-barrel of cider. 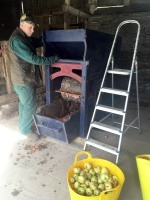 Visitors included a deputation from the cider branch of Herefordshire CAMRA; members of the Hereford and District Preservation Society; and the family of the late John George, who originally restored the scratter. 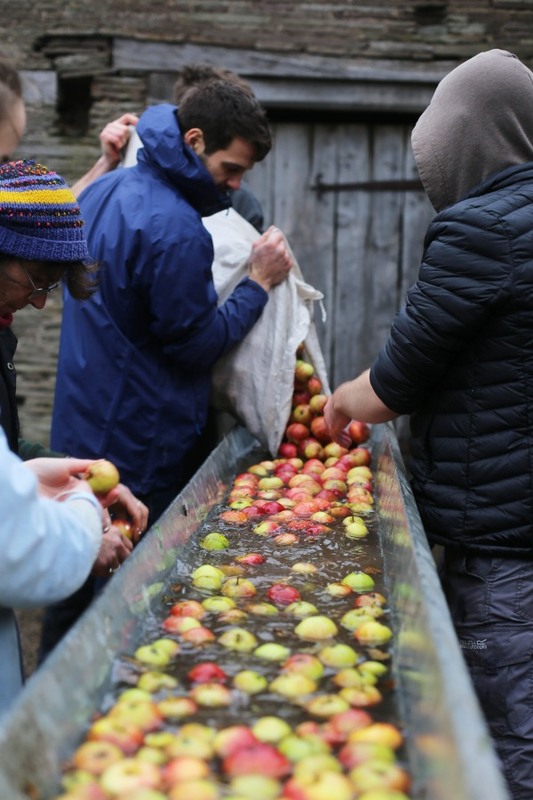 This year for the first time we held a special open day for schools, when pupils from three local schools – Peterchurch Primary, Hereford Waldorf, and Clifford Primary – came to watch Tommy making cider. 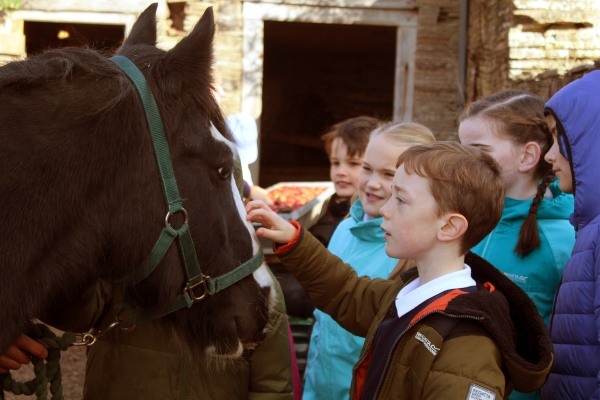 The children were clearly thrilled to meet a working horse – which they'd never seen before – and by the ingenuity of the whole process. They enjoyed tasting juice from the press, and also trying to turn both the mill wheel and the press screw. Their teachers and parents were also very appreciative. Our open weekend was a great success. Visitors came from far and wide, and their ages ranged from one to ninety-two. 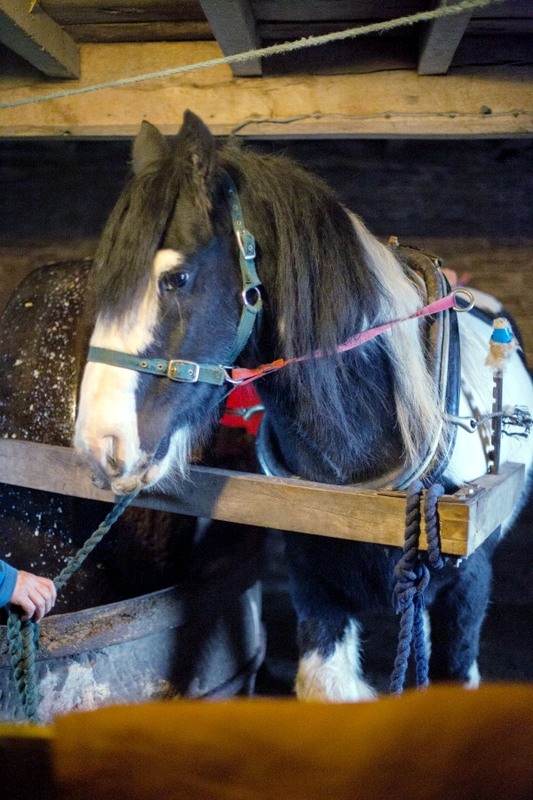 Tommy the Gypsy Cob, now in his second year in the job, performed calmly and willingly, with the support of his owners, Wendy and John Lloyd. 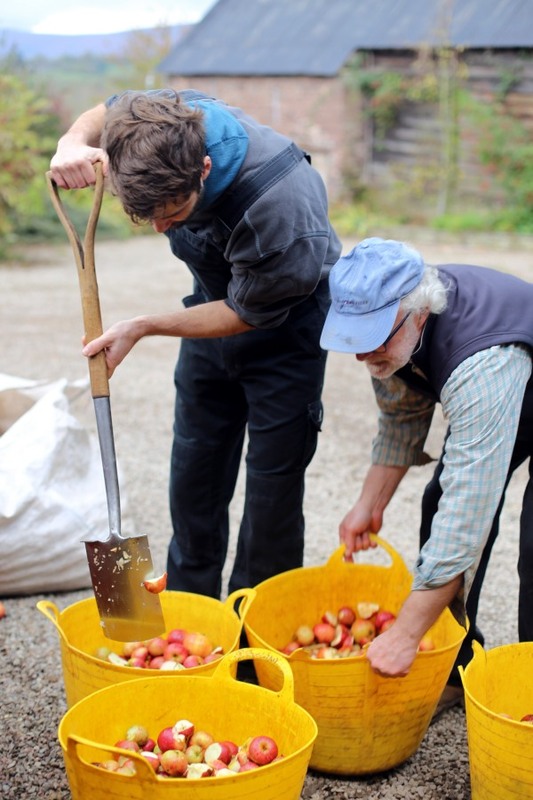 We had an enthusiastic team of helpers, including our new cidermaker, Neville Fleet, recently retired from Silicon Valley, and his two sons, Sam and Ben. 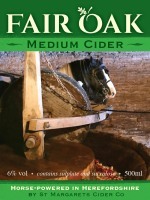 We made two barrels of Kingston Black single variety cider, and one of Dabinett, using apples from orchards in Vowchurch, Cusop and Lower Maescoed; and many bottles of cider were sold. 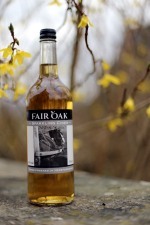 Spring 2018: We are delighted now to be able to offer a sparkling version of Fair Oak cider in 75 cl bottles. Many of our customers had been requesting a sparkling cider, which is quite tricky to produce on a small scale. 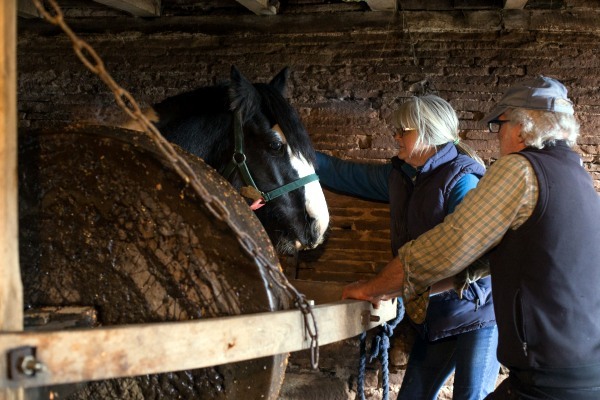 So we decided to approach Westons of Much Marcle, a long-established Herefordshire firm, to ask them to bottle a batch for us. 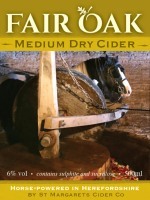 The new cider is medium-dry, gently sparkling and crystal clear. It is delicious served chilled, as an aperitif or with food. 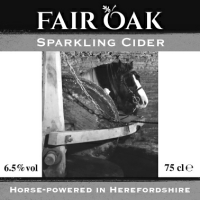 We’re calling it, slightly tongue-in-cheek, Herefordshire’s answer to Prosecco.